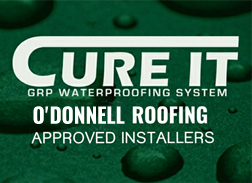 With nearly 30 years experience in the roofing and building trade and have worked on a wide range of projects in this time from simple repairs to large roofing projects we are able to provide a comprehensive range of services and can advise you about the most appropriate course of action whether it be a new build or renovation project. Choosing natural slate is the preferred option when renovating a period property and in many cases planners may insist on its use to conform to the local vernacular building style. We can undertake a range of repairs or re-slating options as well as undertaking new build work and planned maintenance throughout Perthshire and Central Scotland. 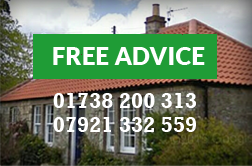 Whether you need a repair to an existing slate roof or you want to install new guttering we can help. 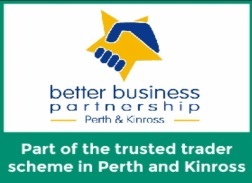 We are members of the Better Business Paternetship in conjunction with Perth & Kinross Council Trading Standards which ensures a trusted service.